Today I am sharing a wedding card. I was going for simple and elegant and being such a big fan of color, was a little scared to have just a plain white card. It didn't photograph as well as I would have liked, so hopefully you can get the idea of what I was going for. Looks much better in person. 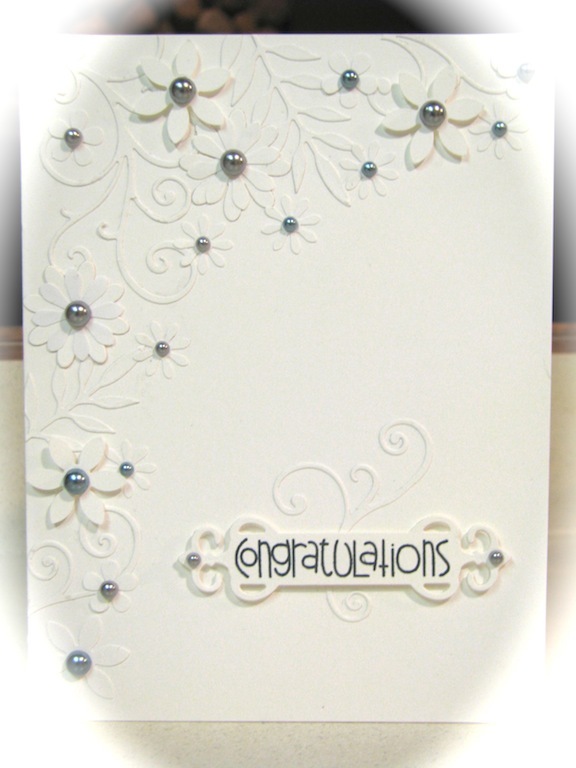 Such a beautiful, and elegant card hunnie...love the embossing.. Thank you for sharing with us this week at "Make it Monday".. I think this card is lovely! You have a great blog and I wanted to let you know I have nominated you for the Liebster Award. You can check out my blog for details on how to accept this award and CONGRATS! !